Shop now high Purity 99% Aspirin / Acetylsalicylic acid powder, fill you cart with savings / guaranteed Low Price. 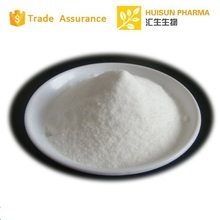 Best quality CAS NO 50-78-2 Aspirin/Acetylsalicylic Acid with attractive and reasonable price on hot selling!! Usage: Animal Pharmaceuticals,Mainly used for medicine, food and feed additives. Dalian Launcher Fine Chemical Co., Ltd.